Tonight's Evening Telegraph covers reaction to the council's proposals for a residents parking scheme in the West End and elsewhere. Click on the photograph to read the story. Today I called for the consultation on residents parking charges to be as full as possible. The City Council approved further consultation on parking charges in the West End and other parts of the city which border the city centre on Monday night. I have met with the officers concerned with this policy in the City Development Department and I am satisfied that they intend to make this as full a consultation as possible. There is clearly a problem with parking particularly during the day in parts of the West End as some people park in residential areas and then go to work at the University or even in the city centre. The consultation must focus on whether the proposals will effectively solve the problems caused by inconsiderate parking and whether the solutions will have any other consequences. At the City Council meeting on Monday evening I raised my concerns that the report we were given indicated that local people were not prepared to pay £77 a year for a parking space. Local people need to balance whether they think that the problems will be solved by the parking scheme against the cost of the scheme. It is also important to note that at the present time people in Menzieshill pay only £5 a year for a parking permit. I will be watching to ensure that the consultation is as full as possible and I encourage local people to make sure that their views are heard loud and clear during the forthcoming consultation process. This morning the four West End councillors had a very useful meeting with officers from the Waste Management and Environmental Health departments to discuss a range of issues around bin collection in the West End. We were looking at how we can deal with the problems of wheelie bins being left out in the street all the time and the difficulties of getting wheelie bins in and out of some tenements. We looked at some of the alternative solutions. I think that the officers are working hard to find appropriate solutions. This is an issue which I will continue to keep a close eye on in the future. Like everyone else I was shocked to hear news of the earthquake in Haiti. For news about about this or to find out how you could help please visit Oxfam's website. Tuesday night saw the first meeting of the West End Community Council of the year. This was a very interesting meeting, one of my old lecturers from university Prof Antony Black spoke on transition towns. This is a very interesting concept which attempts to set a means of dealing with the environmental and social issues which will come about as a result of the dwindling of oil resources. More information on 'transition culture' can be found here. There were also discussions about the proposed residents parking scheme which was discussed at the City Council meetings on Monday evening. Representatives of the West End Parents group spoke about the council's proposals for new schools and a nursery at the Logie site on Blackness Road. On Tuesday morning I attended a meeting of the Dundee Fair Trade Forum. The forum discussed plans to mark Fairtrade Fortnight in the city. Fairtrade is gaining more and more support but there is much more to do. It appears that there is a bit of a thaw on - although the weather forecasters still seem less than convinced that the cold weather is completely over. The City Council has now put resources on the council website which show the priority routes for gritting and also the location of grit bins. This is very welcome and useful information. If you have any problems with this please do not hesitate to get in touch with me. Tayside Fire and Rescue Board's consultation on Towards a Safer Tayside has been much in the local media recently. This reminded me that I hadn't put the actual consultation paper up on this site. The consultation document can be found here. I have made my views clear about the process here, I believed that a decision was made in March 2009 and that it is premature to bring forward what is effectively the same proposal. This having been said I am clear that anyone with an interest in the future of the Fire and Rescue Service in Tayside should take part in the consultation. If you have views on these proposals please take the time to respond. The consultation is open until 8th March 2010. The first meeting of the City Council and its committees took place on Monday night. To read the agendas for the meetings please click here. At the Education Committee there was a report about 'Parking and Dropping off at Schools' I welcomed this report which builds on a pilot scheme which was held at Park Place Primary and Eastern Primary. Safety around our schools is important. I welcome these proposals. Clearly though everyone has a duty to behave responsibly near schools. To park in designated areas and to try and stay safe. I will asking what impact these proposals will have on the future design of primary schools? 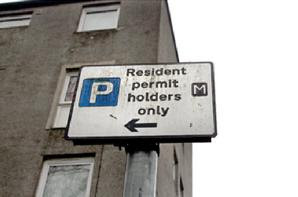 At the City Development Committee there was a discussion about Residents Parking Schemes, one of the schemes concerns the area around Perth Road, Hawkhill and Blackness Road. As a councillor in the West End, and indeed as a local resident I am aware of the parking problems which affect the area. Over a number of years constituents have been asking for something to be done about it. These proposals represent something being done about it. I would draw attention to the report where it does stress that there appears to be significant resistance to a price of around £77 per year. I wondered if it was prudent to progress with this scheme on this basis. I would stress though that local people should take part in the consultation and make their views known. I have sought an assurance that this will be as extensive a consultation as is possible? I hope that every effort will be made to ensure that all local residents in the effected areas get a chance to have their say? At the Leisure, Arts and Communities Committee there was a report on enhancement of Myrekirk Park, I welcomed this report it is important that the Council is a listening council and it is good that these proposals are largely due to the efforts of local people. Our parks are a great asset for the city and it is important that we give local people a sense of ownership over the parks. The council is after all merely the custodian of these spaces for the people of Dundee. At the Policy and Resources committee along with my colleagues I raised my concerns about a range of cuts in the Fairer Scotland Fund. It appears to me that these proposals had not been shared with the council departments which will have to pick up the pieces? Our briefings collectively suggest that they have not. I am not convinced that these are real savings, I think it is the case that the Administration made cuts tonight which might mean that statutory services have to make up shortfalls or become involved much quicker, or become involved at all; and this is much more expensive? I asked specifically about the Urban Rangers Service. I asked whether it is the case that these workers fulfil some of the Council's commitments to funders who paid for the refurbishment of Baxter Park? I was told that there was some dubiety about whether it was a legal or a moral obligation. I will be pursuing this matter further. I could not vote to support this report as there was a dearth of information in the report. There was no report on the consequences of these cuts this is totally unacceptable. The Council just did not have enough information to make a proper decision tonight. Passport to Swimming - Cut! At tonight's Policy and Resources Committee of the City Council the council agreed to a range of cuts to the Fairer Scotland Fund. One of the schemes which lost all its funding is the Passport to Swimming scheme. There will now be no subsidised swimming provision in the city. I think that this is a great shame. I will be looking for ways for the Council to deliver free or subsidised swimming for young people in the future. The SNP Group now in Administration in the city used to believe in this as well. Free access to council swimming pools for young people was an unequivocal commitment in the SNP Manifesto in 2007. School children in Dundee will no longer be able to get access to discounted swimming sessions after it emerged that the SNP-run local authority in the city is planning to ditch the scheme. Councillors will vote tonight on plans to cut all of the funding for Passport to Swimming for young people in Community Regeneration Areas. "It is disappointing that Dundee Council has decided to ditch this scheme and the fact that this is happening in Shona Robison's backyard should be an embarrassment for the Sports Minister. "Before they came to power, the SNP promised to increase children's participation in sport through free access to swimming and two hours of PE a week at school, but they have yet to take these pledges seriously. "We are only a few years away from hosting the 2014 Commonwealth Games, but the Scottish Government is sending out the message that sport isn't that important in Scotland. It is really important that we encourage young people to adopt healthier lifestyles and swimming is a great activity. "It is shocking that only two Scottish councils provide school children with free year-round access to council swimming pools. The Sport Minister has to get her act together and sort this out." Only two, Labour-run Glasgow and Inverclyde, provide free year round access to council swimming pools for children under 16. Edinburgh City Council provides free access to children under five and up to S1. East Renfrewshire and Fife provide free access during the school holidays. Dumfries and Galloway used to provide free access, but this has since been cut by the new Conservative-Lib Dem coalition. 25 councils other councils also charge children for access to council swimming pools. The University of Dundee today announced the proposed site for the V & A at Dundee and also that the design will be chosen by a architectural competition. You can read details of the announcement on the University's website. I welcome these developments which continue the work begun by the previous Labour-led Administration. This project is good news for Dundee and it is now important that it is delivered. It is fair to say that there is still a great deal of work to be done before the project is delivered but this is a good start. The site which has been chosen, between Discovery Point and Olympia Leisure Centre is an interesting one and the proposal to build out into the Tay will hopefully bring an iconic building to Dundee. (The picture above shows where the site will be, click on the picture to read the BBC report.) An architectural competition is an exciting way to develop the site. I hope that this will attract interest from across the world and lead to the building being at the cutting edge of design. I also hope that the design will reflect the museum's setting on the waterfront in Dundee and that the design will reflect influences from Dundee and Scotland. I support the efforts to bring a branch of this British institution to the banks of the Tay. I think that these proposals demonstrate that Dundee is a city which promotes culture and I look forward to further developments in this project in due course. I particularly like the site as it is just inside the West End ward. For an idea about the strengths of the V & A visit their website. Today I was asked by the Justice and Peace Group at St Joseph's Church to sign a petition calling for an end to the blockade of Gaza in the Palestinian Territories. To find out more about the petition click here. 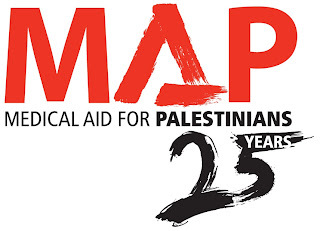 For more details on Medical Aid for Palestinians click on the logo. The British Government has stated that Israel's blockade must end, recognising its profound impact on civilians, I welcome this statement. I hope the UK Government makes urgent representations to the Government of Israel and redoubles its efforts to bring about an immediate and unconditional end to the blockade of Gaza. The current cold spell has no doubt caused a lot of people to realise how dependant they are on their central heating boiler. 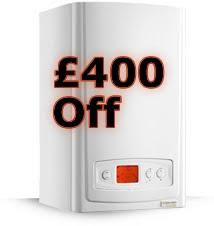 The Labour Government in the UK has instigated a boiler scrappage scheme; this results in extra funds in the Scottish Government's budget as a result of the Barnett Formula. So far there is no sign that the Scottish Government will introduce a similar scheme which would benefit the heating industry, it would also benefit recipients by giving them more efficient boilers and it would benefit the environment by installing greener boilers. I support calls for a similar scheme to be brought forward in Scotland. These calls are also supported by the heating and plumbing industry. There is now a petition to sign to show your support, click here.